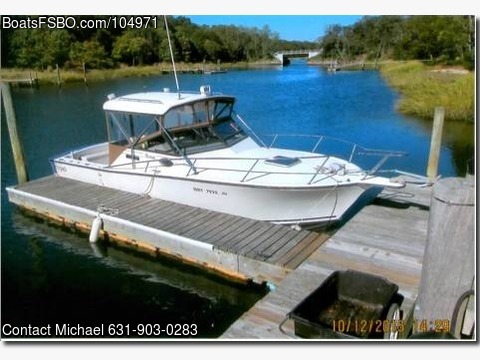 1989 27' Albemarle Express Fisherman with Twin inboard GM 250 HP each, crate motors with less than 100 hours. New Canvas, drop curtains, New cushions on ladder-back chairs. Cabin sleeps Two with Head.